Regardless of the type of business you operate, creating an experience in which customers feel they are members of something has multiple benefits. 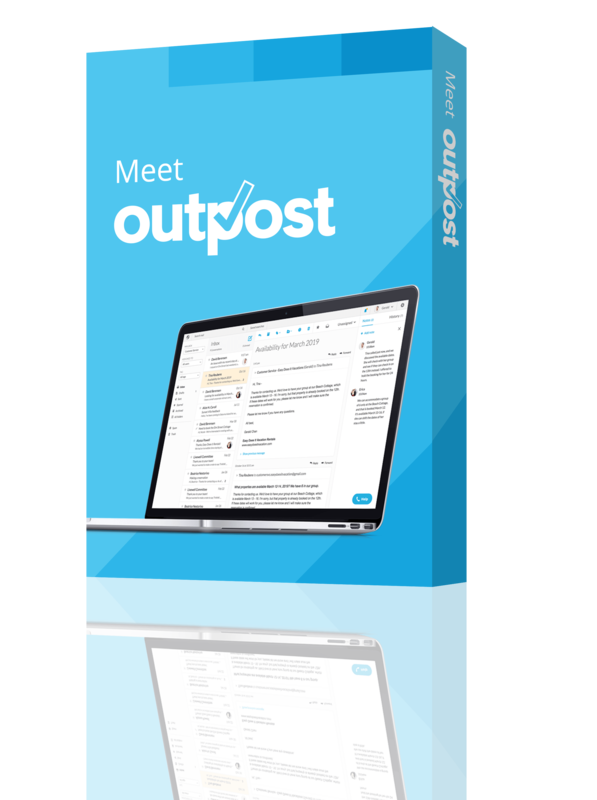 Growing a company, generating recurring revenue, and creating loyal customers is no mean feat, regardless of your budget, or the number of employees at your disposal. For most people, the word “membership” implies involvement in a club, society, or function of some sort; it’s not typically a concept that feels hugely applicable to “small business” in general, though this couldn’t actually be further from the truth. Regardless of the “type” of business you operate (you do not have to be a subscription-based business), creating an experience in which customers feel they are members of something has multiple benefits. This idea doesn’t just give customers a feeling of “lifetime value,” it allows for ongoing innovation and establishes a relationship that could last forever. To better help you understand, we’ve included an adapted excerpt from Robbie’s new book. This book will give you insight into how to use “membership” to promote not just a one-time transaction, but ongoing customer or client transactions. Virtually any small business can do it. To win a free copy of “The Membership Economy,” skip to the bottom of this post and share it on Twitter. U.S. entries only, please. When an organization is structured around the customer, with an ongoing and formal relationship between customer and organization, it becomes a membership company almost by default. In the past, much of our economy has operated on the principles of ownership. Companies sell things, and consumers buy them and own them. Many of us own cars, and there are certainly benefits to ownership. If you want to paint flames on the side of your car, you have to own the car. But if your car breaks down, you need to fix it. If you need to use the car only occasionally, ownership may not be your best choice. Other options exist if you want access to a car. Today, technology has provided new models for drivers that were unavailable in the past. These include Zipcar, which provides members access to a fleet of company-owned cars for single-trip usage without requiring “by-the-day” rental; RelayRides, which allows members to rent the cars of other members when the cars are not in use; and Uber, a car service which allows anyone with a luxury car to become a driver for hire. Ownership and access are at two ends of a continuum, and right now the pendulum is swinging away from owning. As individuals grow frustrated with the burdens of owning, caring for, and storing too much stuff, they are looking for ways to minimize that stress. They are also experiencing a need for meaningful connection and community. The Membership Economy provides a solution to both of these challenges: simultaneously minimizing the burdens of ownership while offering new ways to derive a sense of community. 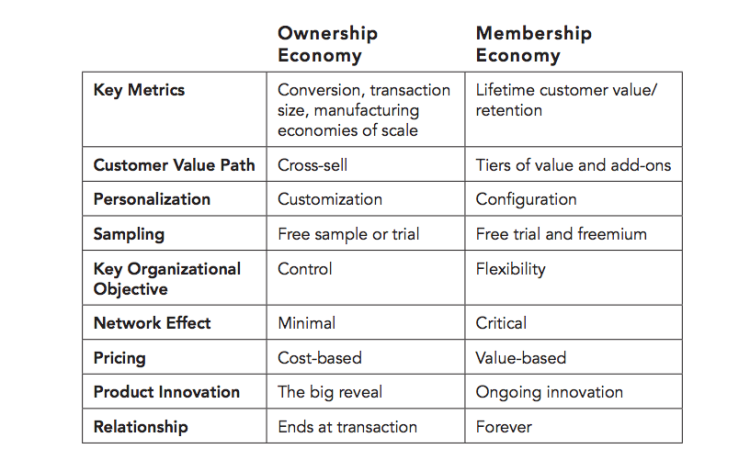 The above table charts the key differences between ownership and the Membership Economy. The key metrics in the ownership economy are conversion rate, transaction size, and economies of scale. In the Membership Economy they are retention and customer lifetime value. There is an ongoing and probably endless debate over the complex concept of privacy. How much private data do you want to share? And with whom? How much should you have to share in exchange for the privileges of membership? One challenge many people face is the desire to access an organization’s benefits while wanting to stay independent. Still others are unabashed joiners and simply want to connect. Cary Rosenzweig and I are both joiners. Rosenzweig was the CEO for five years at IMVU, one of the first and most successful virtual worlds. Members can create, sell, and buy virtual goods, using virtual currency they earn through play or buy with real money. What’s fascinating about IMVU is that it’s a community that encourages anonymity while still providing the benefits of membership—connection, access, and more. “One of the things that surprised me most,” says Rosenzweig, “is how real the relationships and the emotions are behind the avatars.” Many of the people who connected through IMVU behind the avatar facades developed genuine friendships and even met, and in at least one case married, in the real world. A Membership Economy business model may be right for your business, even if it isn’t right for you personally. You might not be a joiner—and that’s okay. Nonjoiners might pay cash and forgo loyalty programs to maintain privacy about how they spend. Membership is about connection and access over privacy and ownership—and not everyone values these the same way. You may not have children, but as a marketer you can sell diapers and help other people see the value of this. What makes a good marketer is an interest in what motivates target buyers, how they buy, and what earns their loyalty. So even if membership is not for you, remember that for others membership is hugely important and worth paying a premium for. Members love membership models because they fulfill powerful human drives—like needs for affiliation and prestige. You can certainly get all these benefits through ownership as well. Membership models, however, with their emphasis on ongoing relationships, access over ownership, and drip-payment plans that replace big price tags, are optimized to provide these benefits. Both models can exist simultaneously. The benefits of ownership center around security, privacy, and control. Right now, however, ownership is dramatically losing favor, while connection is becoming critically important. It creates recurring revenue. Most businesses have to deal with seasonality—some more than others. Having monthly subscription revenue can smooth out the peaks and valleys in annual sales. It builds a more direct relationship that strengthens the brand, by putting customers at the organization’s center. An organization that has a strong, positive relationship with its members is able to use that loyalty to grow as members recommend the enterprise to others and to resist competitive threats. It generates an ongoing data stream that can be used to improve services and identify opportunities to increase satisfaction. The more the organization understands its customers’ needs, wants, behaviors, and attitudes—that is, much more than their raw demographics—the better it can serve those needs. There are benefits to ownership, but today’s consumers are increasingly interested in access over ownership. Access minimizes the stress of caring for and storing all our stuff, while offering us new ways to feel part of a community. To be part of the Membership Economy, people need to face the fact that privacy of personal information may well need to be given up in exchange for the benefits of membership. The membership model fills powerful human drives—one of the reasons it is growing in popularity among many kinds of businesses. Virtually any organization can become part of the Membership Economy. 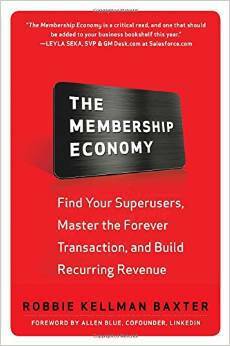 Tweet and be entered for your chance to win a free copy of Robbie Kellman Baxter’s book, “The Membership Economy: Find Your Superusers, Master the Forever Transaction, and Build Recurring Revenue.” US entries only. How your ideal customers can help you generate a ton of new business, without spending a cent!